We have a large range of add on accessories to help you get the job done. We stock and recommend the Rhino Rack heavy duty roof rack system. 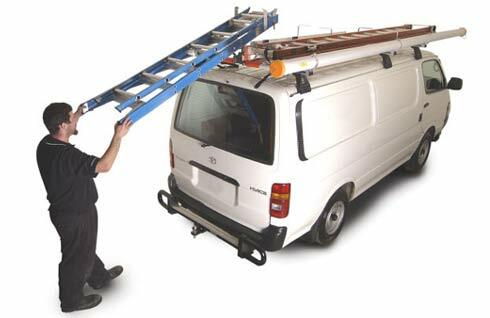 They have a range to suit all needs, from the ladder carrying tradesman, to the weekend user. You can’t go wrong with the commercial systems – WHY? The legs are manufactured from UV stabilized glass reinforced nylon. The cross bars are extruded structural aluminium. All other components are stainless steel or have an anti-corrosive coating. Gutter mount legs are rated to 100Kg per pair. 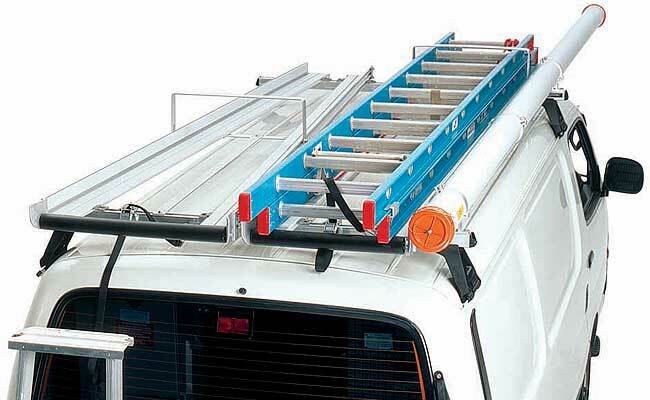 Removable rack systems to suit gutterless type vehicles are usually rated to 75Kg per pair. Track mount systems are rated to 100Kg per pair. 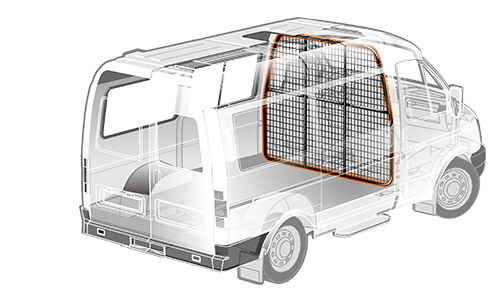 All Rhino Rack systems are supplied with security hardware to give you added peace of mind. There are a large range of accessories available to suit most tradesmen’s requirements. 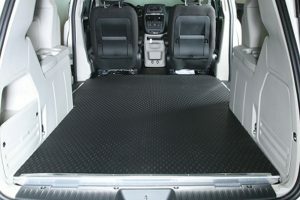 Our heavy duty rubber floor mats are suitable for most vans and utes. They won’t tear, crack or warp. Resistant to most household chemicals and liquids. Non-slip surface means your load is stabilised. Adds insulation – no more hollow road noise. 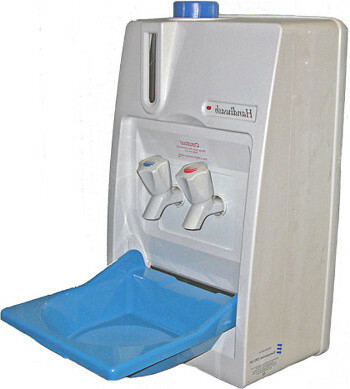 Handiwash can assist you in meeting occupational health and safety requirements. The heater element thermostatically controls water temperature to 60°C. The system is also protected by a thermal overload safety device. The unit can be mounted to any vertical surface and wired to a 12 or 24 volt power source.